This factory-born Cardinal Red convertible was assembled in Canada and fully restored in 2012, with a lovely paint finish and sharp bodywork. 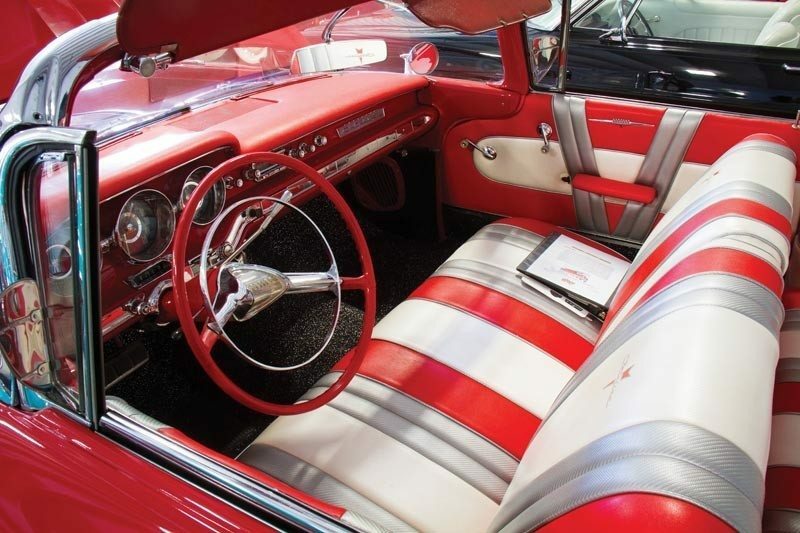 This Catalina goes the extra distance in distinguishing itself with an incredible custom interior incorporating a fresh leather upholstery with White and Silver accents, salt-and-pepper carpeting and oodles of bright new chrome. 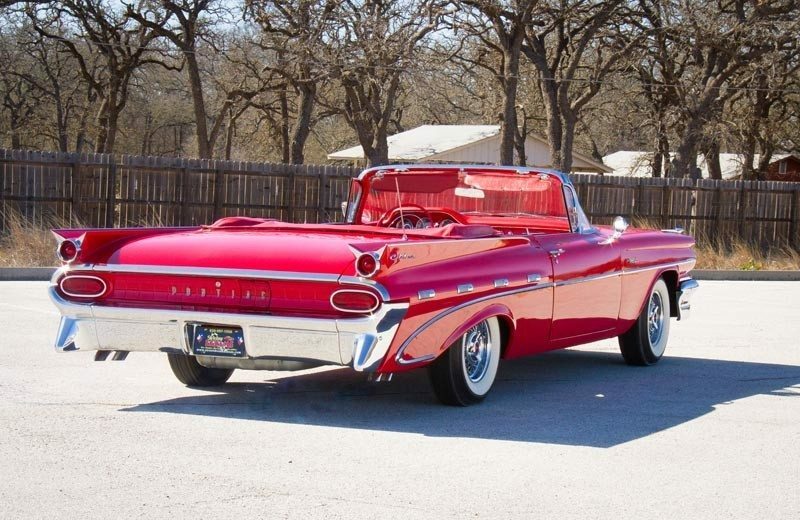 There is extra flash outside as well, highlighted by a bright Red convertible top, distinctive Bonneville side trim, glittering chromed wire wheels with whitewall tires, and dual outside chrome mirrors. The dash is simply incredible, and the big six-person convertible features both power steering and brakes, making it a comfortable boulevard cruiser that’s both reliable and very easy to drive. 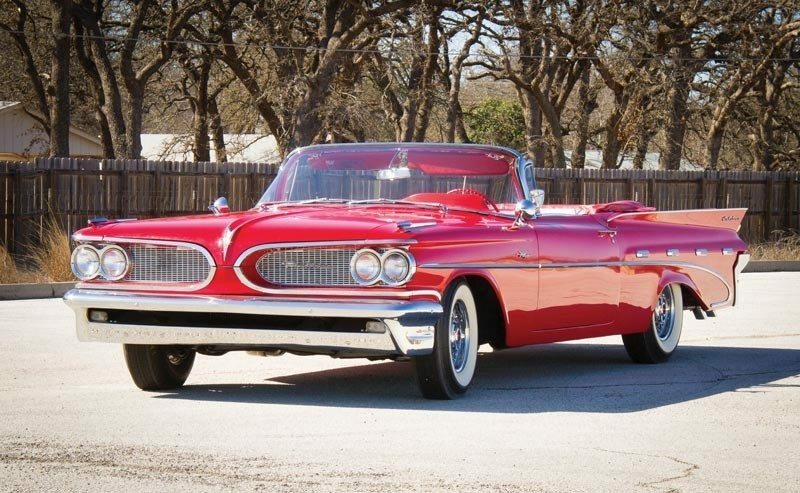 Pontiac enthusiasts know that the ’59 Catalinas are quite rare, especially the Tri-Power Convertibles, and will always be looked at as the start of the big, wide, powerful era at Pontiac. 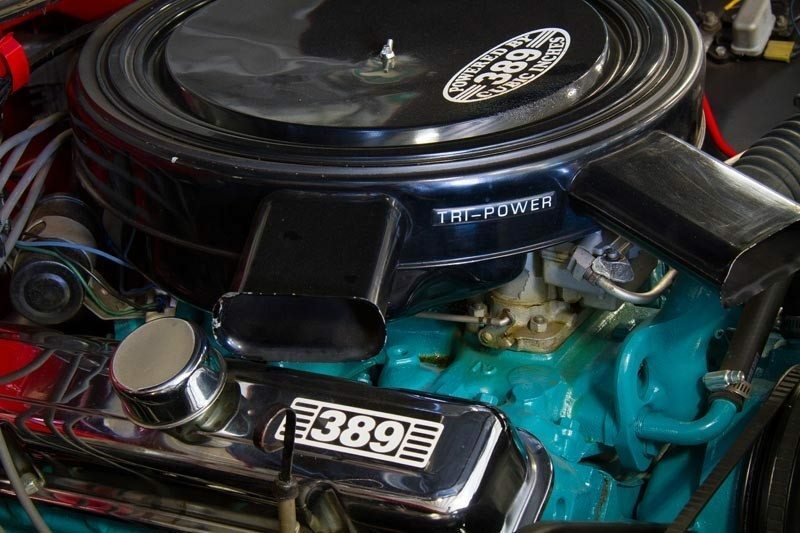 These features served to propel Pontiac to great success for the next several decades. Long and low, big and brawny, with Pontiac power underfoot and a drop top – what’s not to love? If you have a Pontiac Catalina or another collectible you’d like to insure with us, let us show you how we are more than just another collector vehicle insurance company. We want to protect your passion! Click below for an online quote, or give us a call at 800.678.5173.